Congressional Republicans working on rewriting rules for the struggling individual insurance market might want to study five different reform proposals chosen as finalists in a national competition among actuarial professionals. The proposals offer incremental changes in the insurance rules established by the Affordable Care Act, which are widely seen as needed to stabilize the markets. They include some revisions favored by insurers and congressional Republicans, such as leaner benefit packages, greater leeway for health plans to charge older consumers higher premiums, health savings accounts, auto-enrollment, and high-risk pools for people with pre-existing medical conditions. But they also keep or even strengthen some ACA features, including penalties for non-enrollment and reinsurance provisions to protect insurers from losses if they sign up costlier members. The Actuarial Challenge was sponsored by the Robert Wood Johnson Foundation and the actuarial firm Milliman to help policymakers develop viable reforms of the individual markets across the U.S., many of which are struggling with too little competition, too many sick people and rising premiums. An expert panel of five judges chose the five proposals from 14 entries. The proposals will be further developed by using Milliman's Health Care Reform Financing Model to simulate the impact of each model on coverage, marketplace performance and public spending. 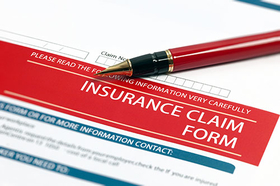 The results will be published in late March or early April in a final report, said Katherine Hempstead, a health insurance adviser at the Robert Wood Johnson Foundation. The advantages and disadvantages of each model will be discussed by the expert panel and outside analysts in a concluding event. Three of the five proposals would allow insurers to charge older enrollees five times as much as younger enrollees, up from the 3-to-1 differential allowed by the ACA. Insurers argue that would enable them to attract more young, healthy people with cheaper premiums, balancing the costs of older, sicker people. All five would give health plans more leeway to vary benefit design. One would set national benchmarks for core benefits, with consumers free to purchase standardized supplemental plans, as in Medicare. Another would use auto-enrollment to make sure everyone was signed up for a catastrophic plan, with consumers adding benefits through supplemental benefit riders. And one would enroll everyone in a publicly funded preventive services plan, with people buying additional state-regulated coverage. The actuarial teams all offered strong mechanisms—in some cases stronger than the ACA's individual-mandate tax penalties—to get healthier people into the market. Several of the proposals would charge people the full cost of a basic plan if they didn't sign up. Three of the plans would revive the ACA's temporary risk protections for insurers that sign up disproportionately sicker enrollees, while one would establish a federally funded high-risk pool for people with expensive pre-existing conditions. “There was a lot of attention to protecting carriers against risk and making that permanent or semi-permanent, which we haven't seen in the reform plans in Congress,” Hempstead said. Interestingly, three of the proposals would set prices for providers, with one using Medicaid rates, one turning to Medicare rates and one requiring reference-based pricing. Nine other proposals did not make the finalist cut. But the sponsors invited the authors to refine them for later publication. One would establish a payroll tax-financed social insurance model covering all legal residents, along the lines of a public single-payer system. From an actuarial point of view, putting everyone in a single plan is the surest way to guarantee a balanced risk pool of healthier and sicker people and spread the costs.